Ta-daaaaah! 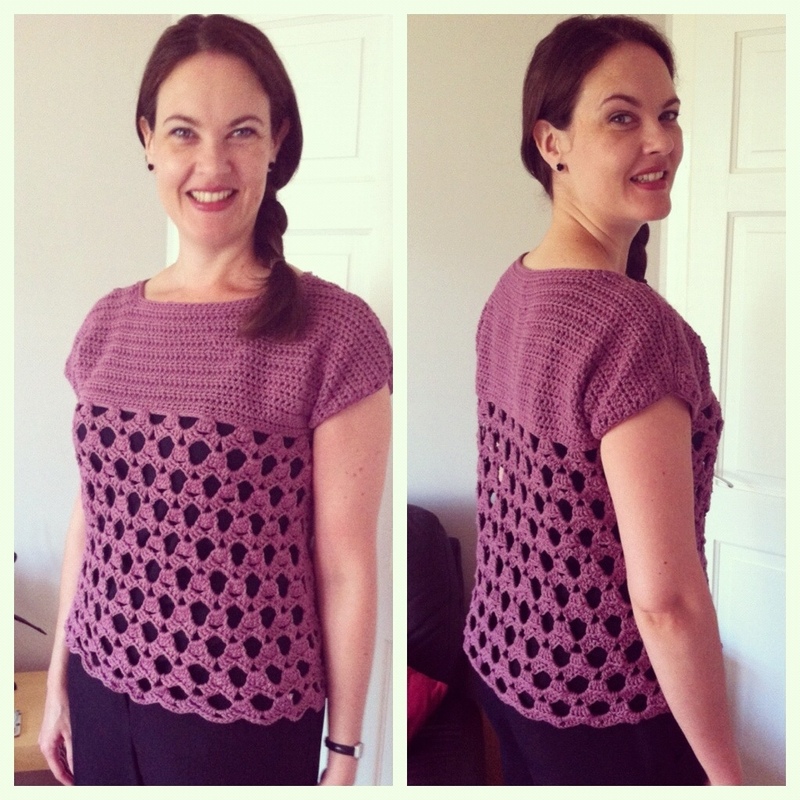 My Dusky top is finished! 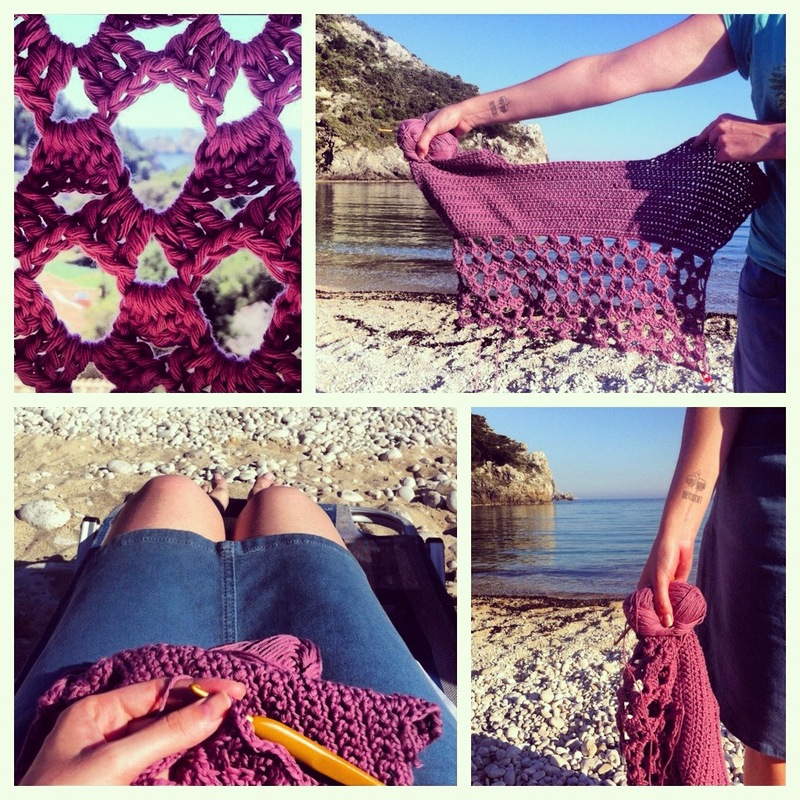 As I promised myself, I started working on it on the first day of my holiday in Corfu, and I managed to finish it, and wear it, on the last day. So happy!!!! Here are some photos showing how Dusky grew into the lovely top that it is. The pattern for the body is really easy to do, but it looks very fancy and intricate. And here it is. The finished top. I’m wearing it with a flesh coloured camisole, but it can be worn over any coloured t-shirt (long and short sleeved) or camisole. It’s a very wearable, versatile top. Case and point of versatility: the same Dusky over a black camisole with black trousers for work. See what I mean?! The pattern is available for free here. To access it you’ll have to join Row@n Members area and download the pattern from the May 2012 newsletter. I made a modification to the pattern in that I didn’t do it as a tunic, but rather my standard length of just above the hips. It was a joy modifying the length, as the top is crocheted top down so I just had to stop when it reached the length I wanted. I love top down construction! The yarn is Drops Paris in shade no. 60. I used 8 balls. The pattern suggests a 5mm hook. I had to use a 6mm to get the gauge for the yoke right, and then used 5mm for the lacey body. All in all, I can highly recommend this pattern and the Drops Paris to hook it with. 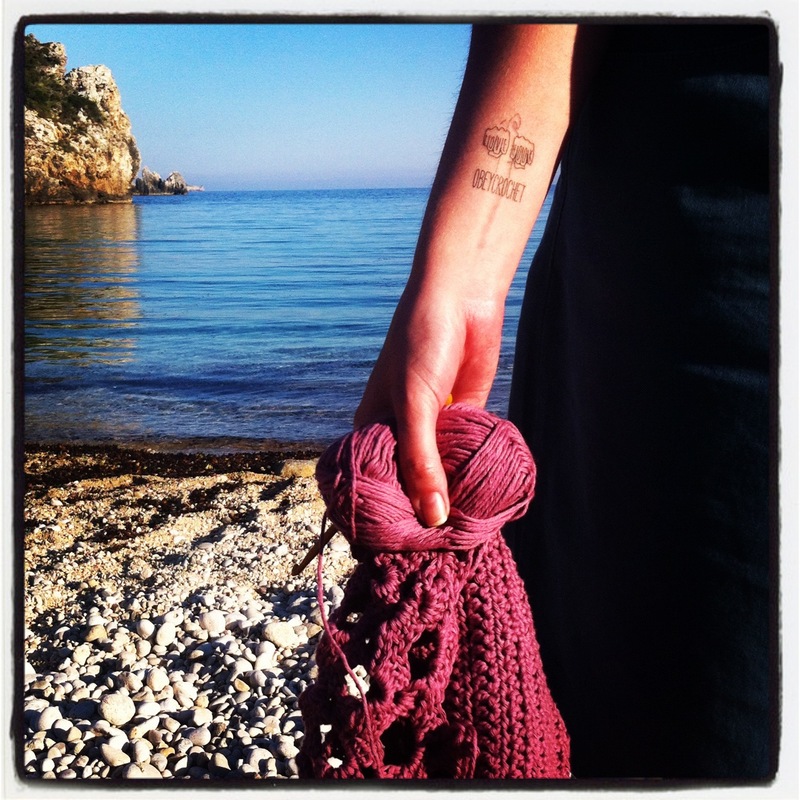 I’m definitely taking a crochet project with me on holiday again. Now that I’m sitting at my desk, wearing Dusky, I’m reminded of my fabulous week in Corfu and I will be every time I wear it. 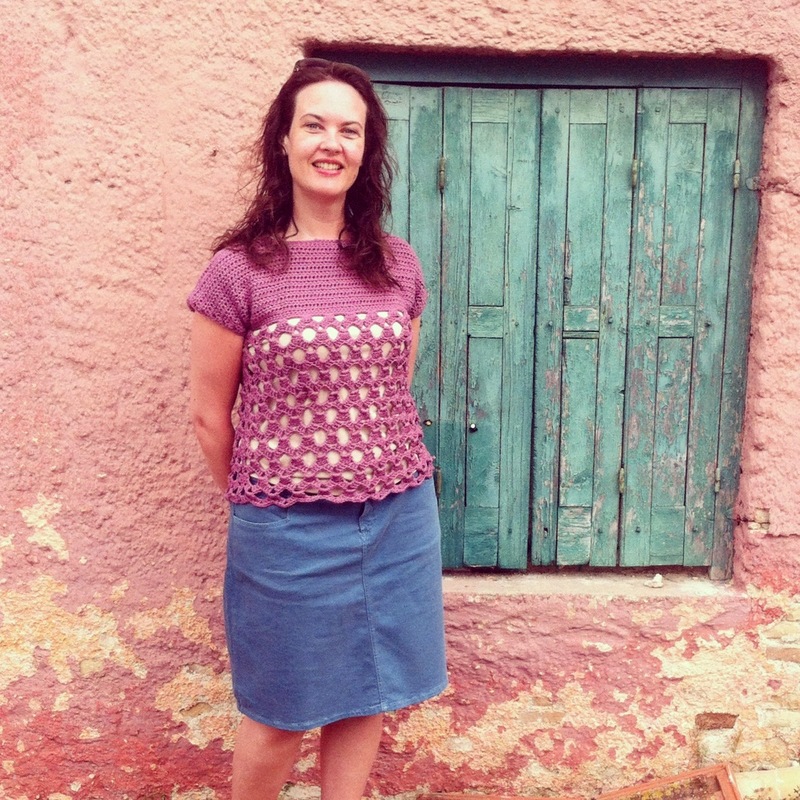 No more postcards or fridge magnets for me as momentos of holidays – I hook on holiday! Love the tat! That is such a cute summer top, I love the color you used. I’m adding it to my Ravelry queue. Well done. I love it. I hope you have happy memories all year round! I love it with the black! really lovely! love the colour too! Thank you very much! It is indeed a great compliment. I’ve been nominated before so I won’t do the nominee post again, but thank you so much!! Beautiful! Love the colour and especially wearing it over the dark cami. — Biae baie mooi! This is wonderful! I can’t wait to get paid Friday so I can order the yarn to make this; it looks absolutely beautiful, while also being light enough to wear in the summer! I look forward to seeing your versions of Dusky! How beautiful! I love how versatile it is and that you now have a wearable memory… it’s all just fabulous. Plus, it looks amazing on you. Thank you Rebecca, I appreciate the nomination. I really do! It’s beautiful and how exciting to be able to wear it during the same holiday! oh, haha, i ALSO came here to tell you that i’ve nominated you for the Versatile Blogger award! I’m glad other people are enjoying your blog as much as I am! Thanks for the nomination, I appreciate it very very much! Looks REALLY nice with the black work clothes. Well done! 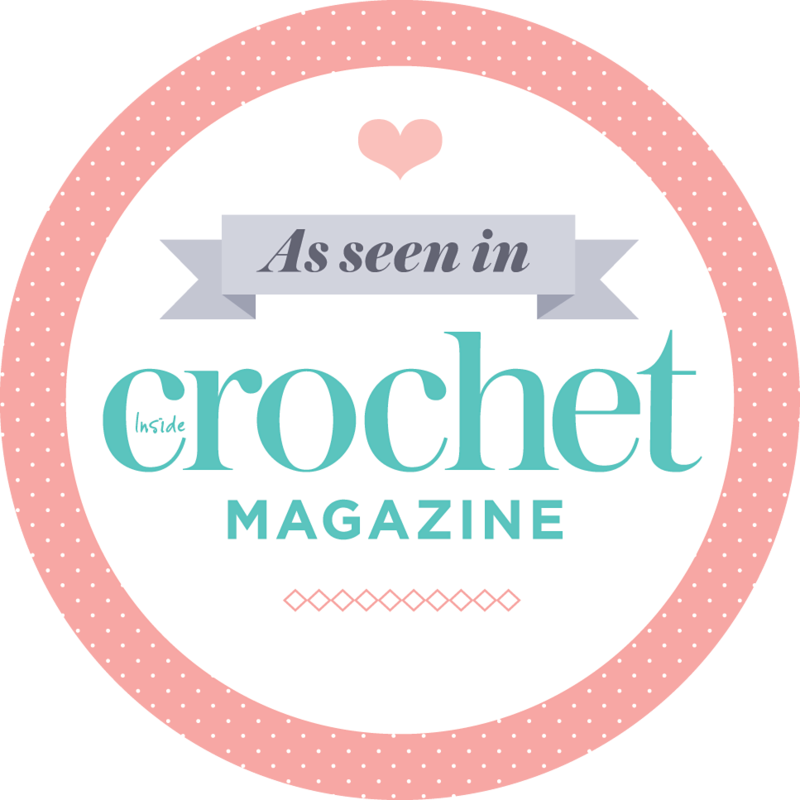 Gorgie top and gorgie pics – love the one peeking through your crochet! What a good plan!! 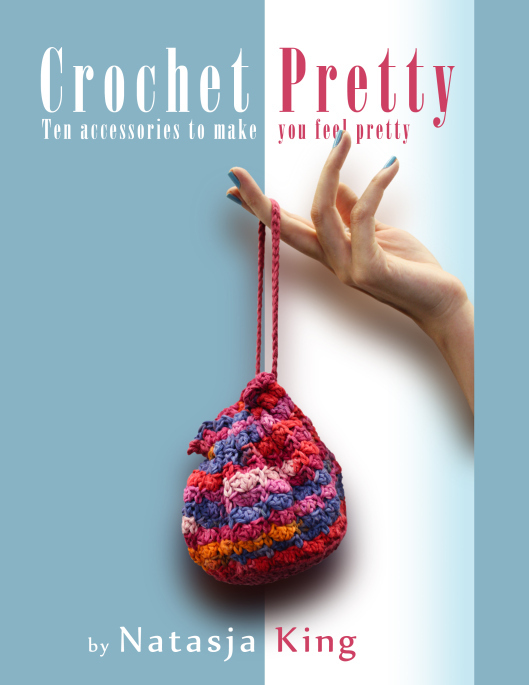 Go on holiday to the perfect settings for your crochet work. Clever girl! !